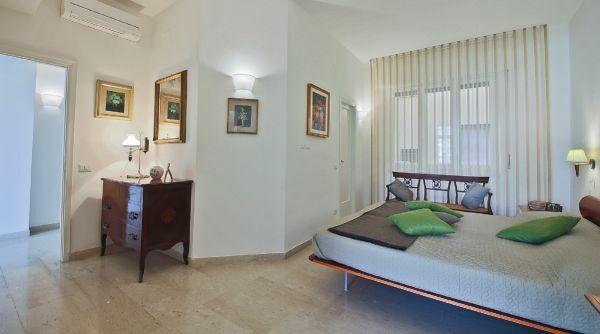 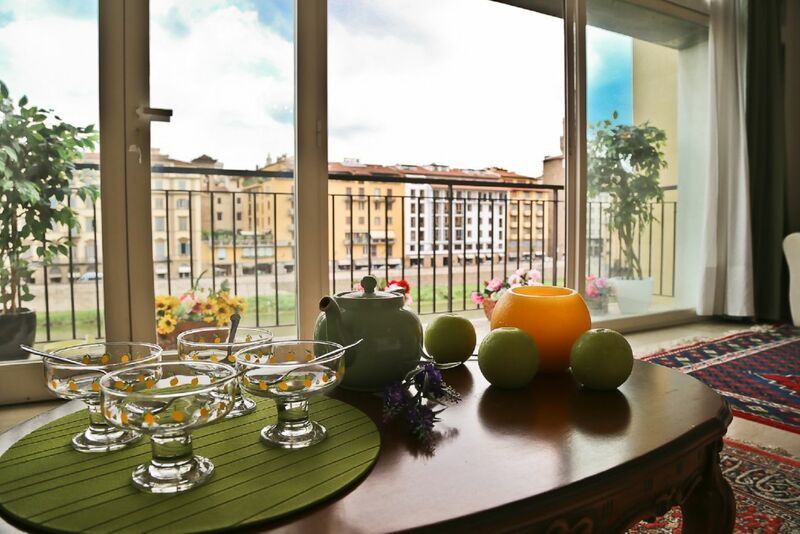 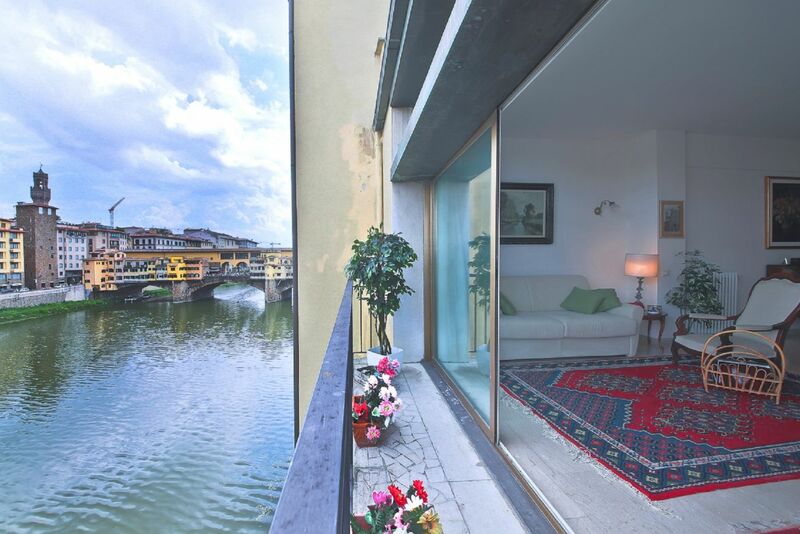 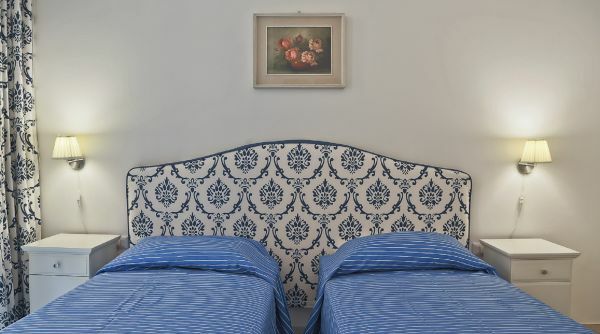 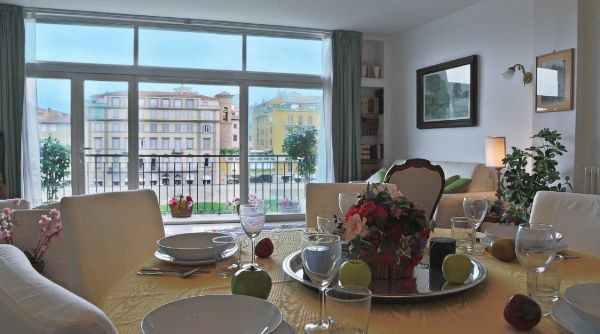 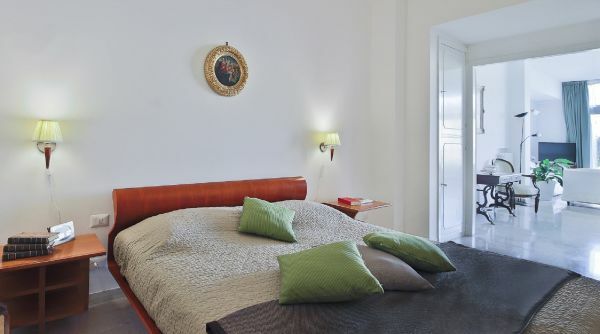 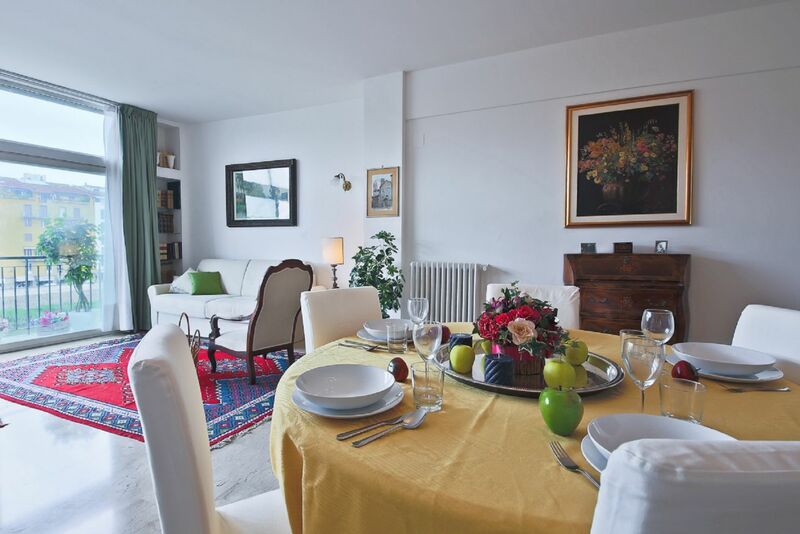 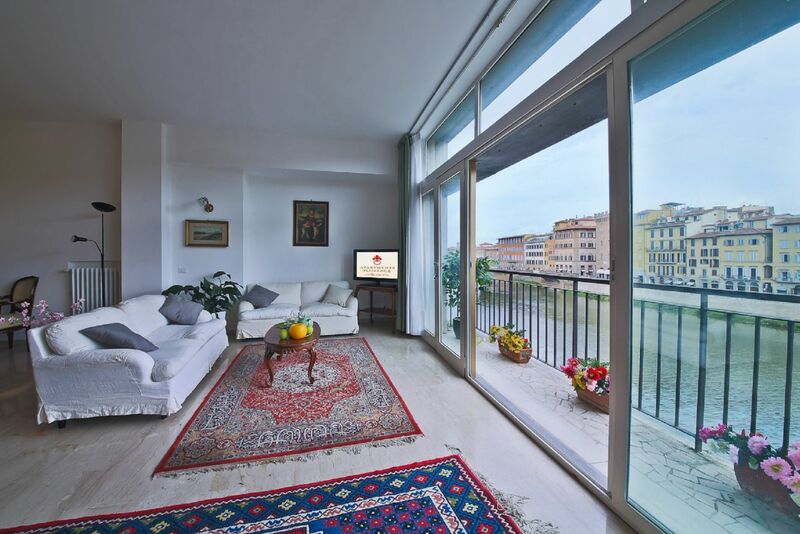 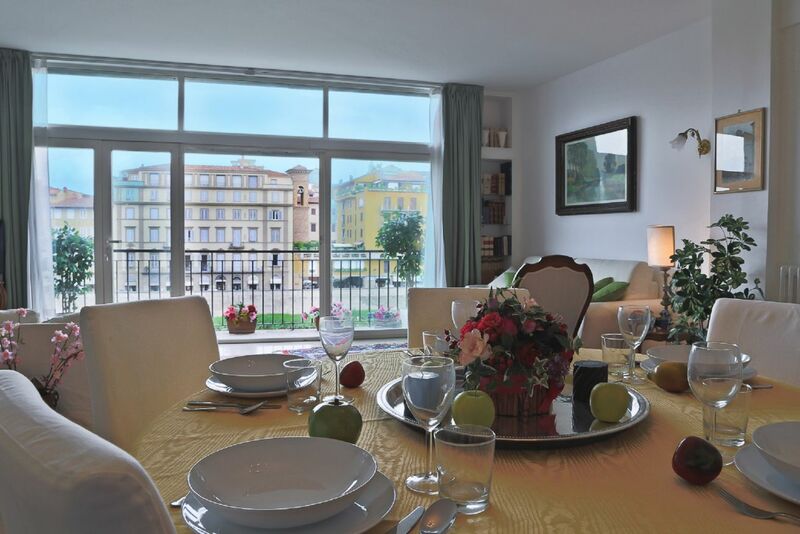 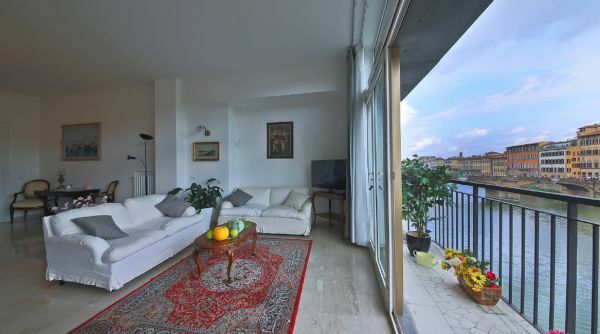 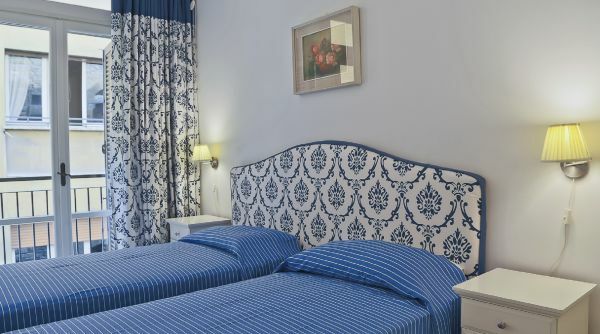 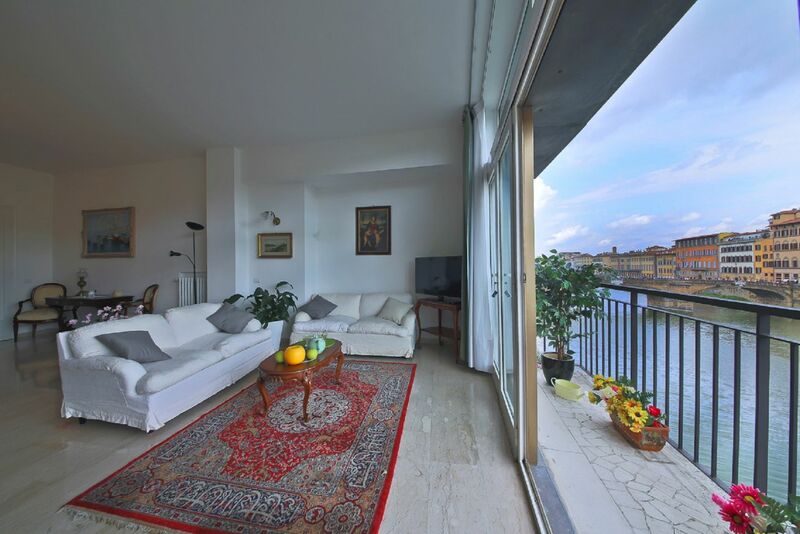 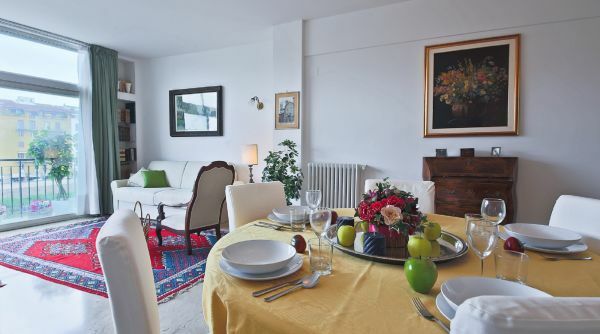 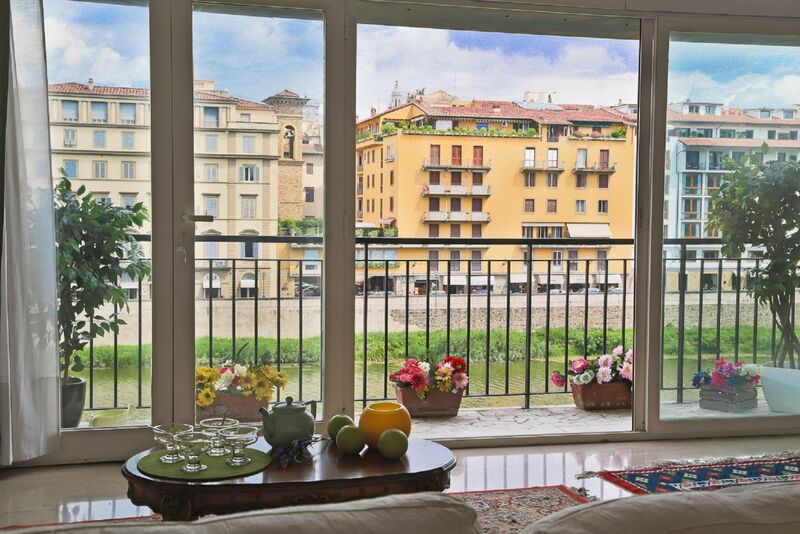 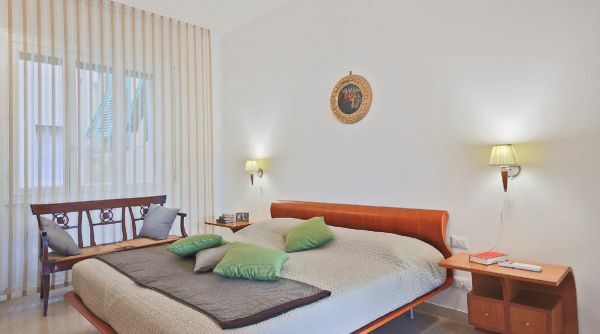 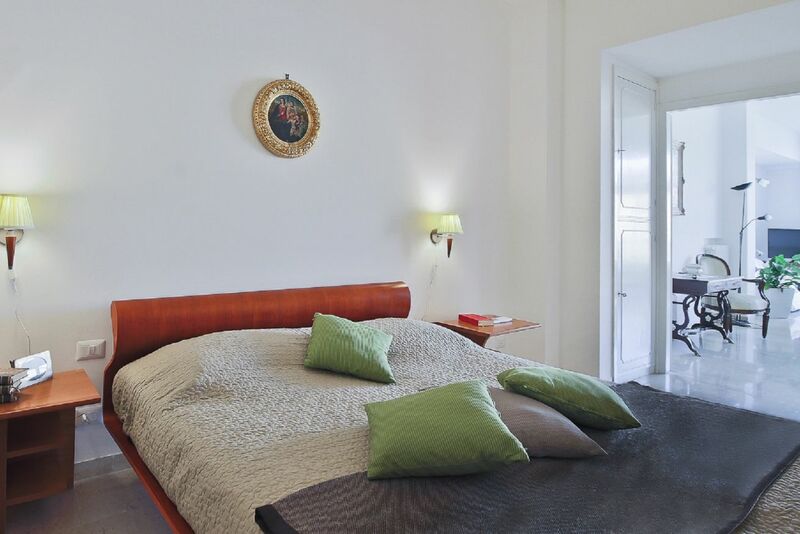 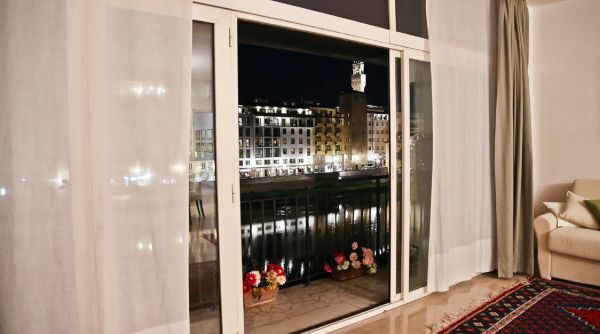 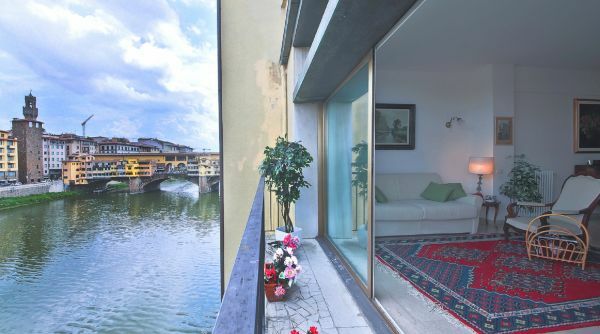 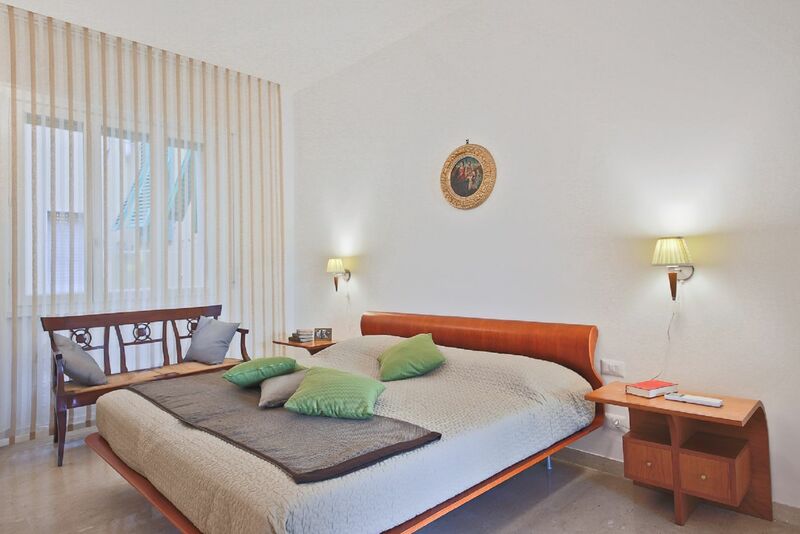 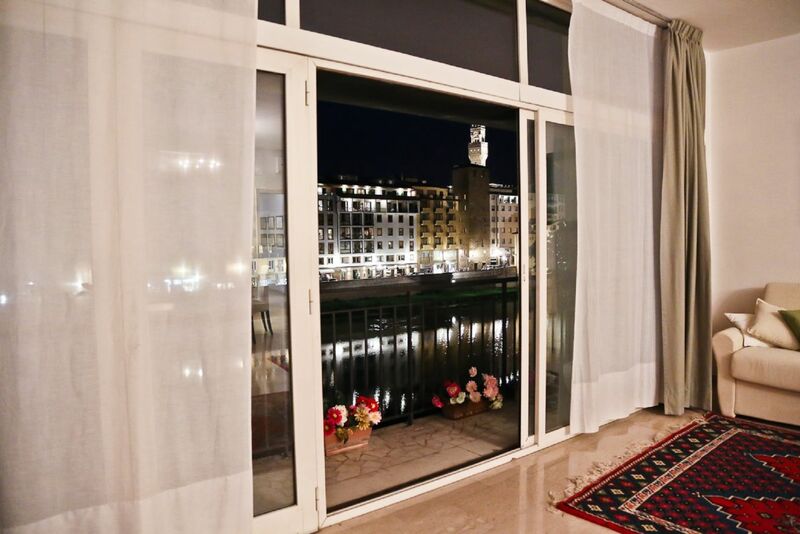 Breathtaking view of the Arno River and Florence's monuments, this apartment will welcome you in the heart of Florence! 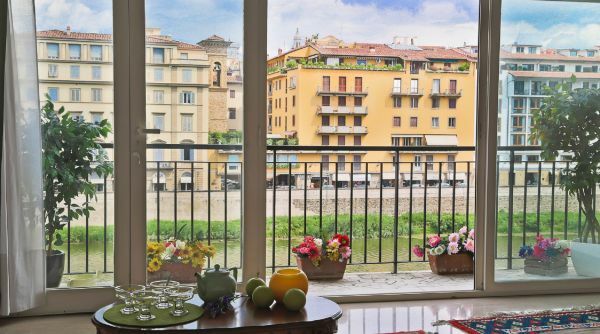 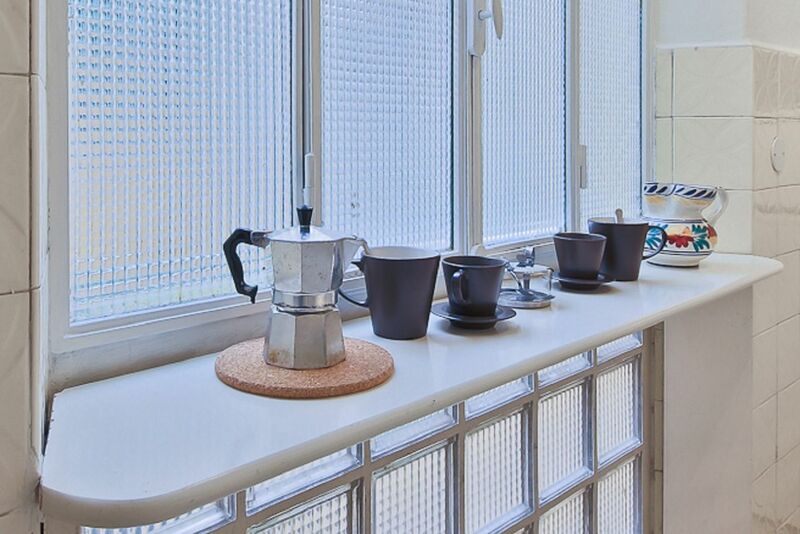 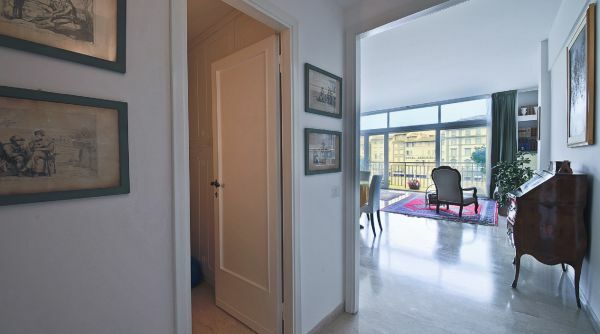 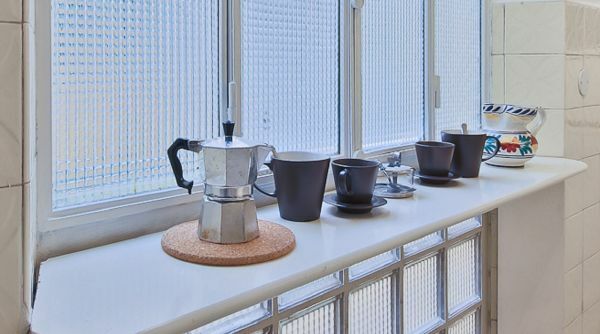 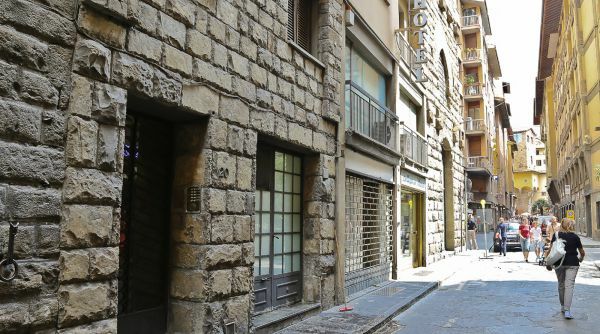 Filled with natural light thanks to its many windows, this three-bedroom apartment is located on the third floor of a contemporary building with elevator in Borgo San Jacopo, just a stone's throw away from Ponte Vecchio. 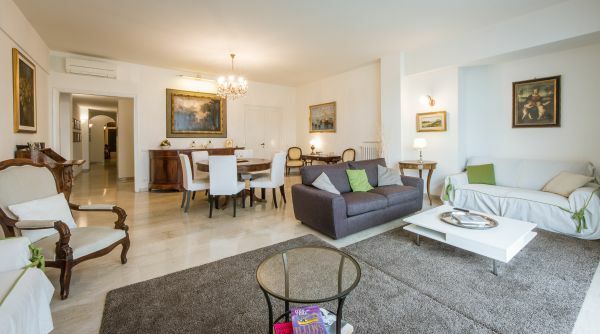 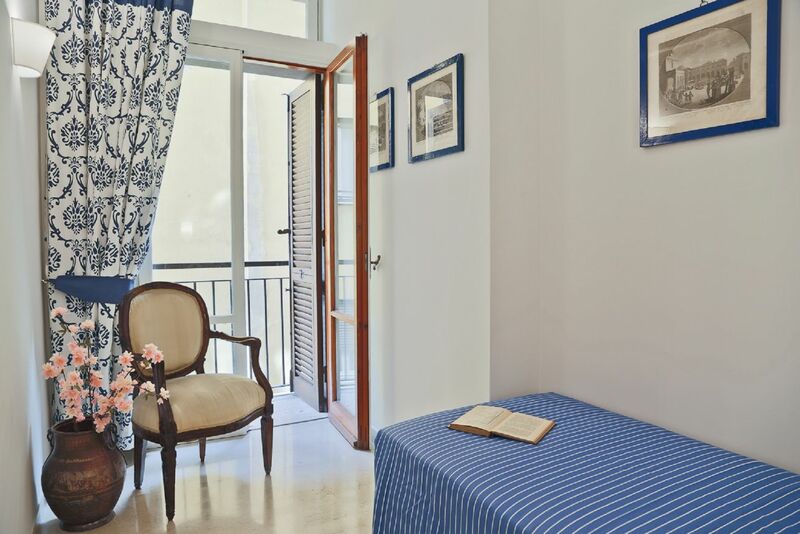 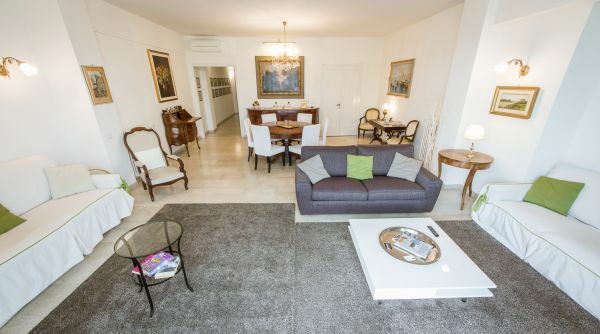 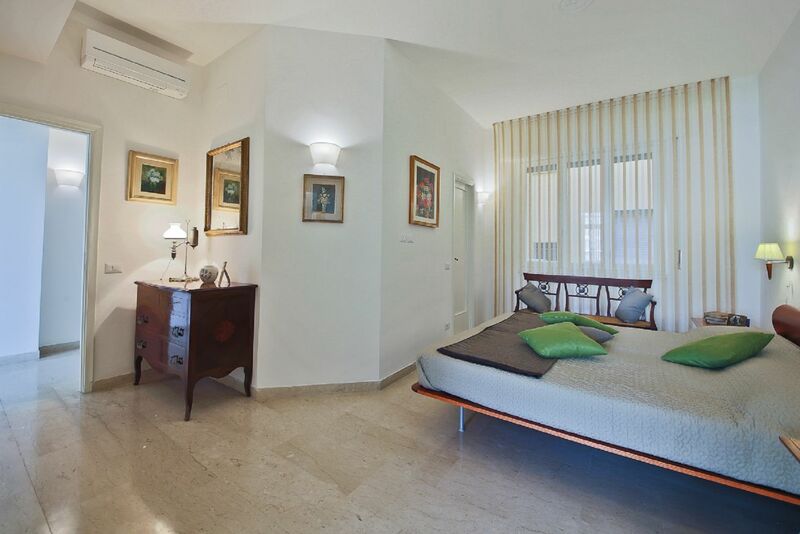 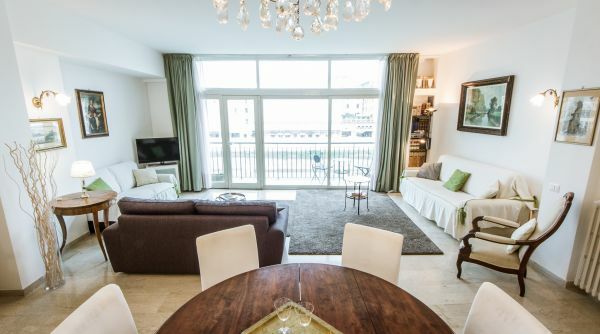 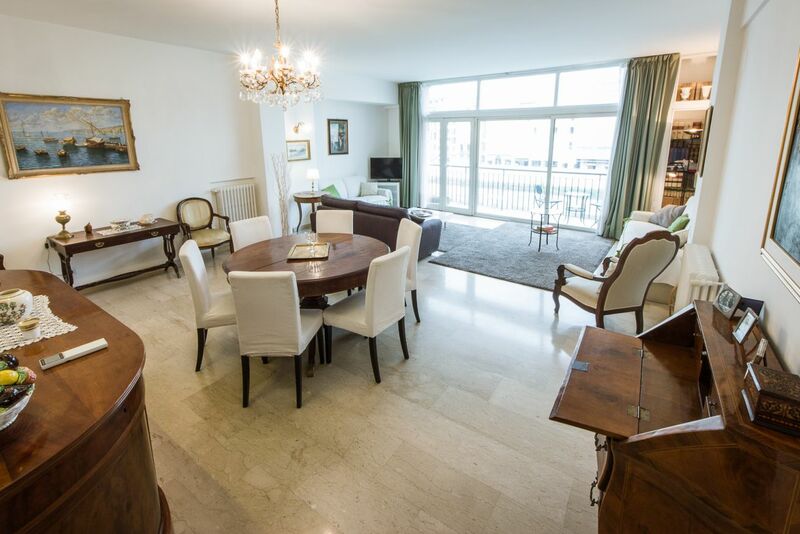 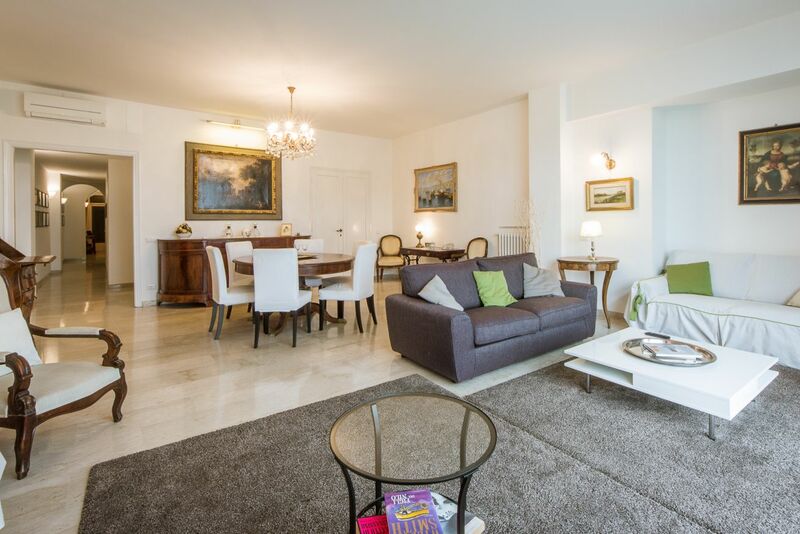 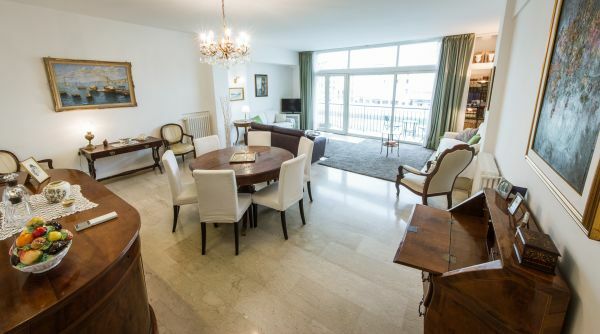 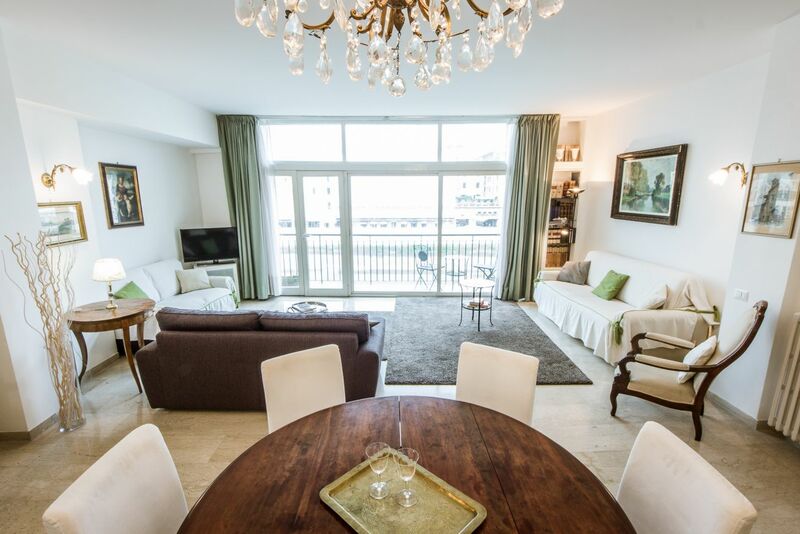 Open and spacious, a soothing atmosphere permeates this lovely apartment: well furnished with a traditional flair, each room is designed to meet your every need and make you feel at home. 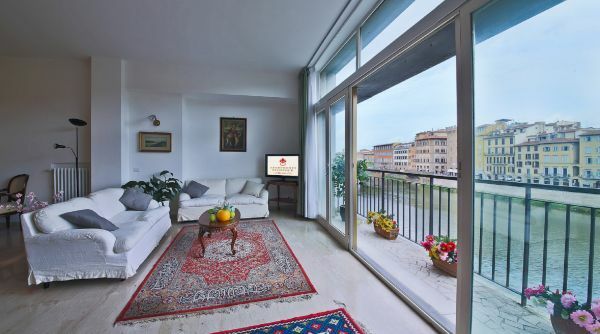 The elevator opens right inside the spacious and bright living room features three sofas (one sofa-bed) and a round dining table. 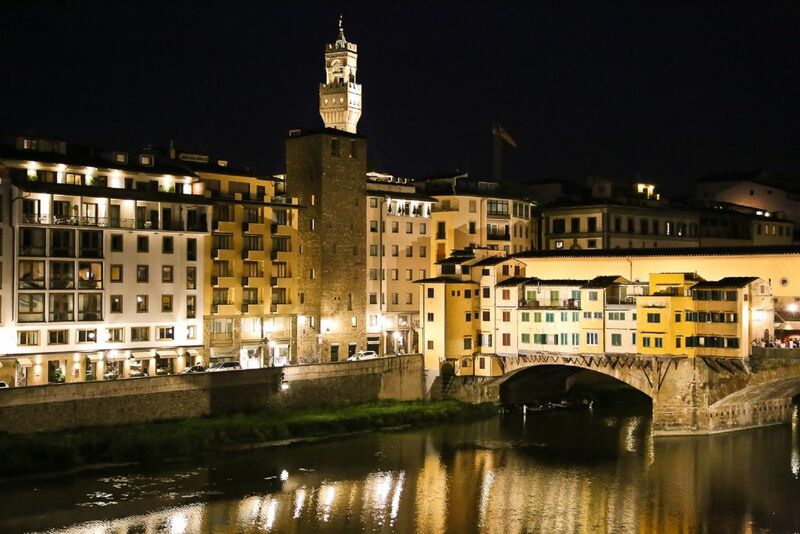 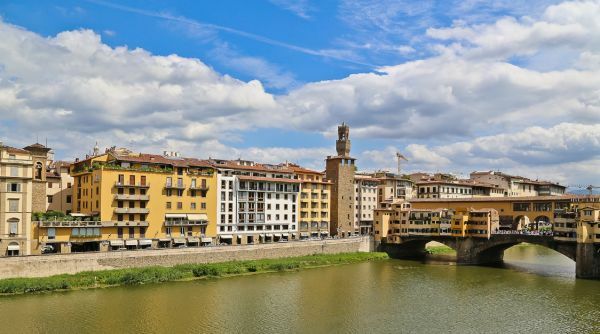 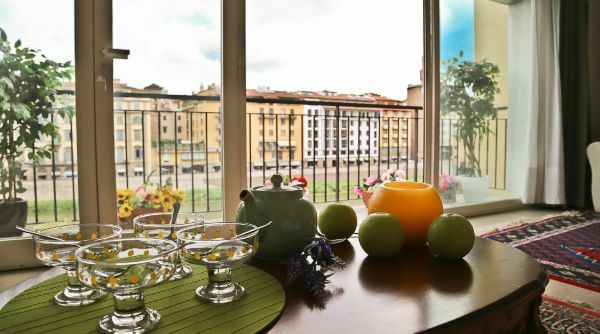 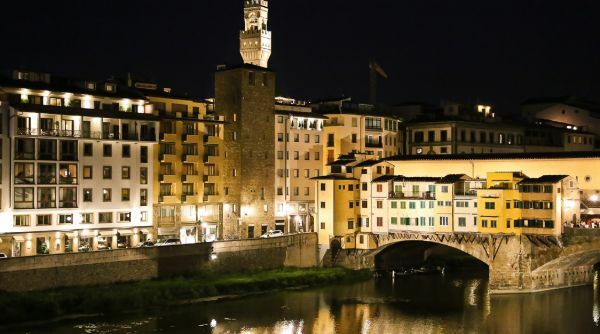 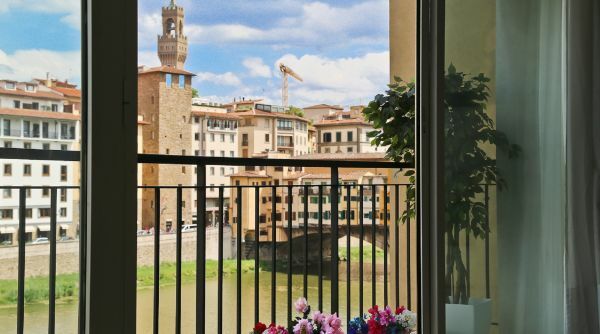 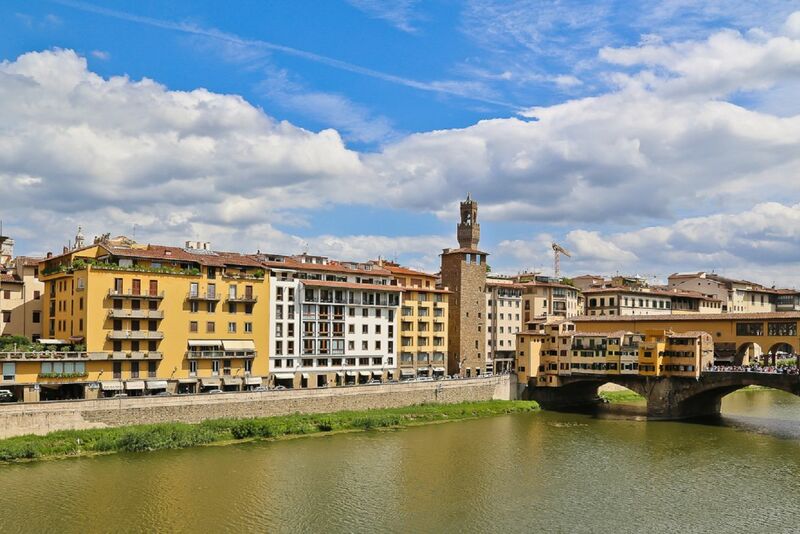 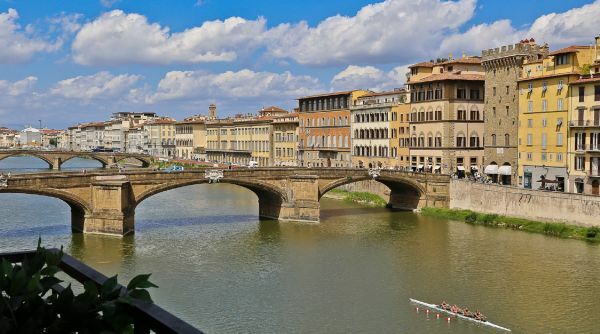 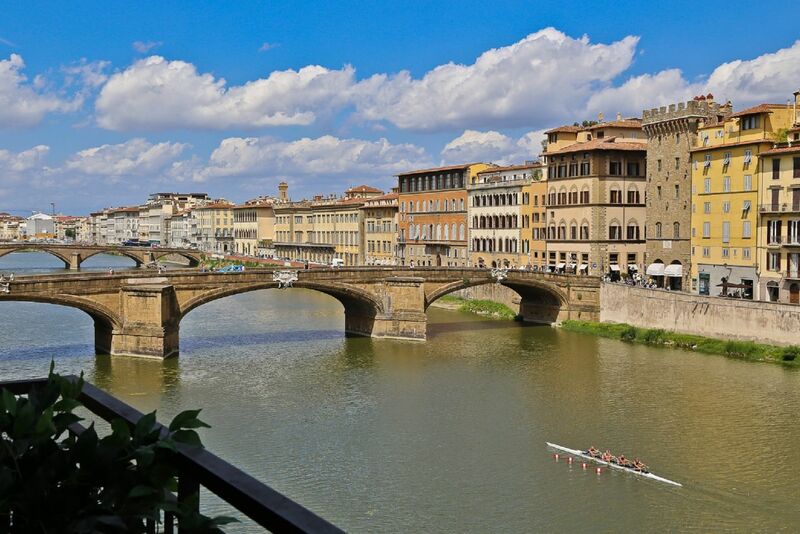 Its large windows open onto a splendid outdoor balcony overlooking the Arno River, providing a wonderful view on Florence’s most famous monuments. 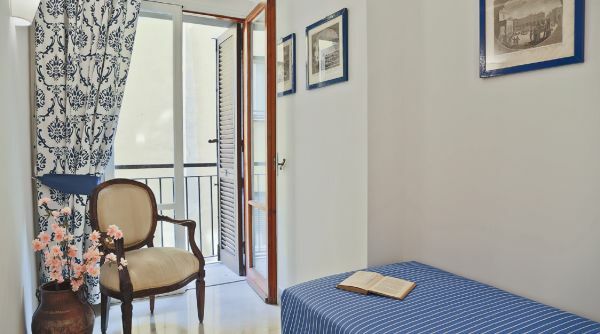 The bedrooms each have access to the outdoor balcony, which goes all around the perimeter of the apartment. 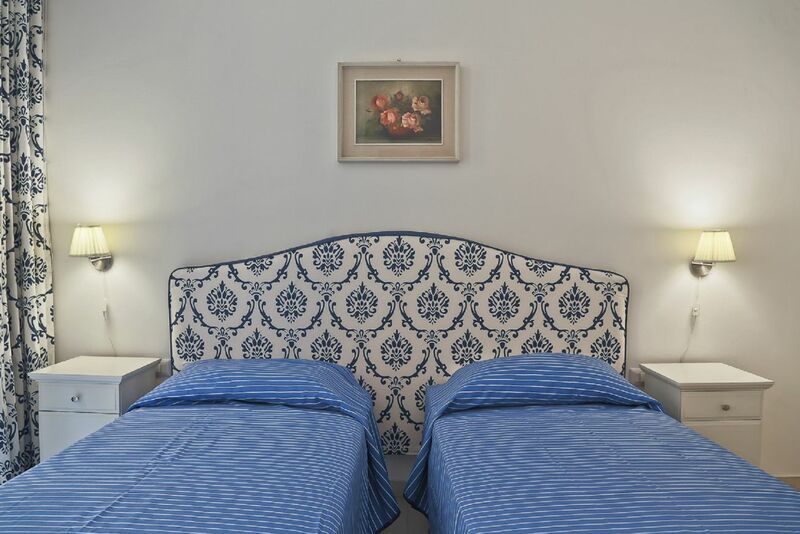 The master bedroom features a queen-size bed, the second bedroom has two single beds that can be joined together to make another double bed, and the third features a single bed. 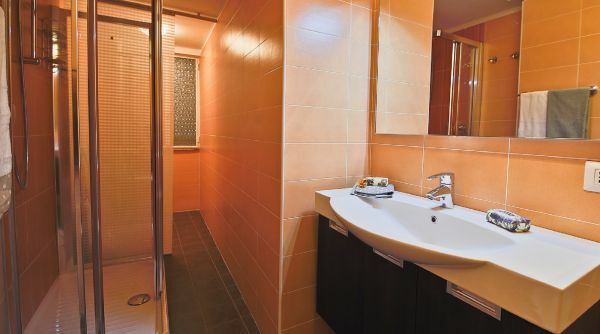 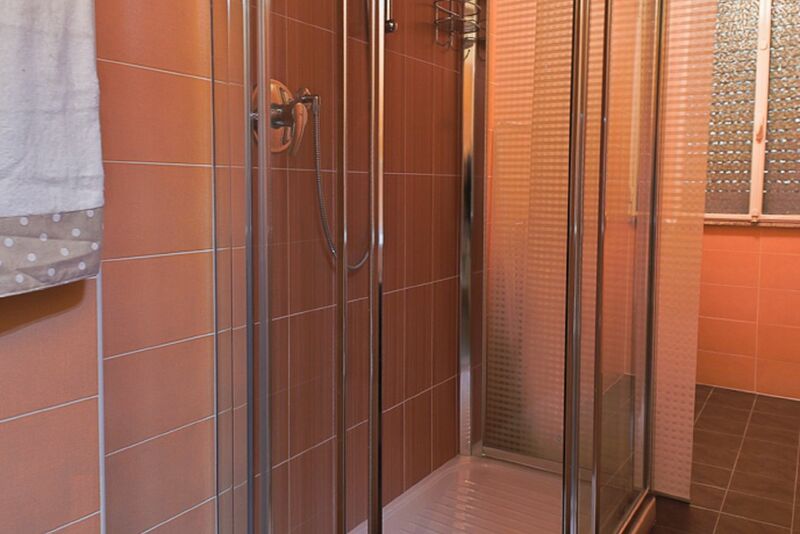 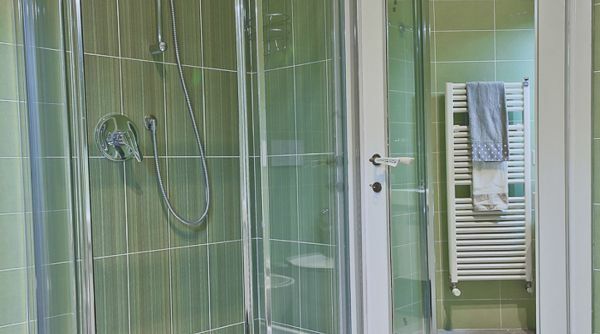 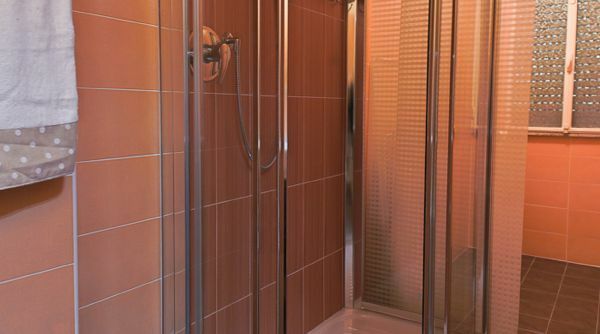 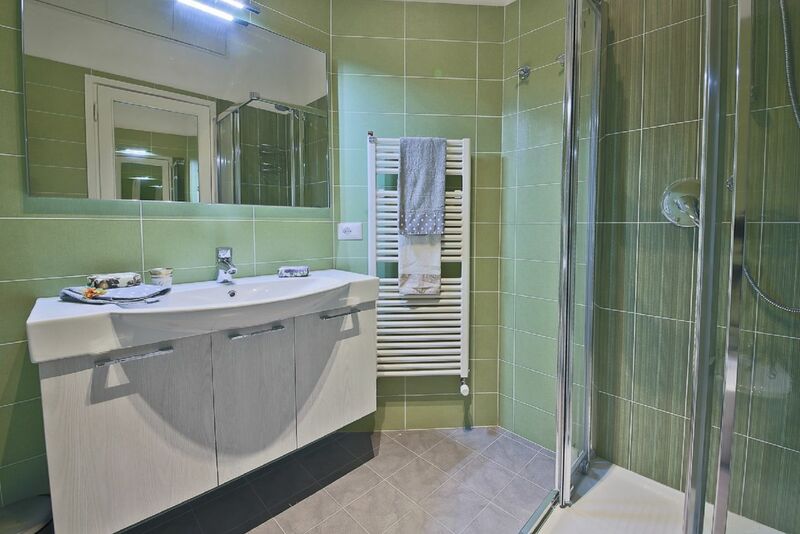 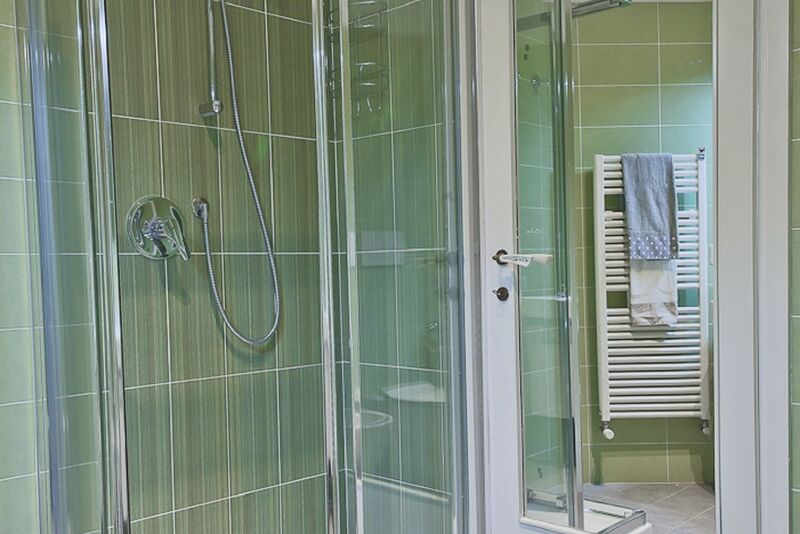 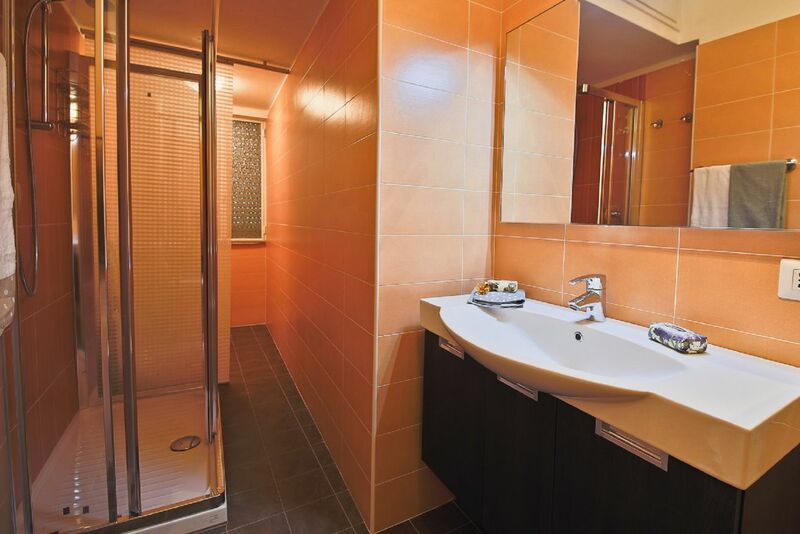 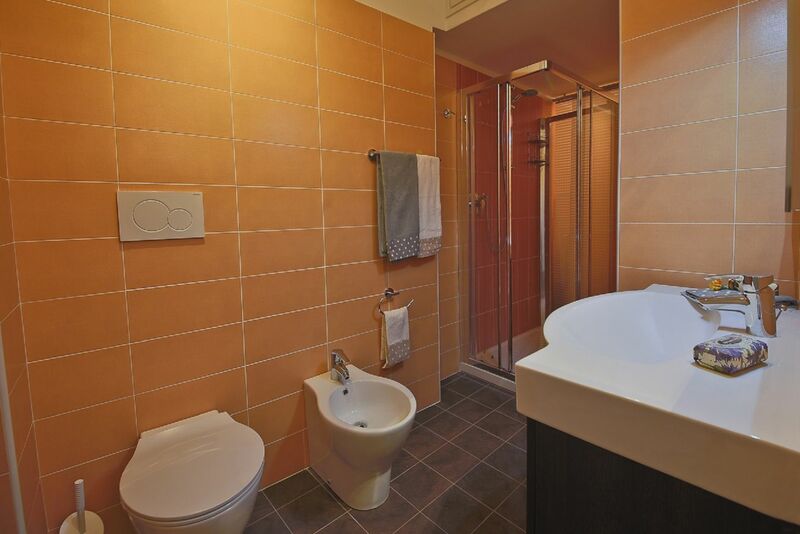 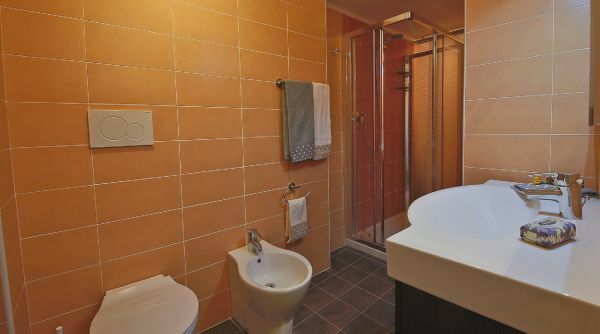 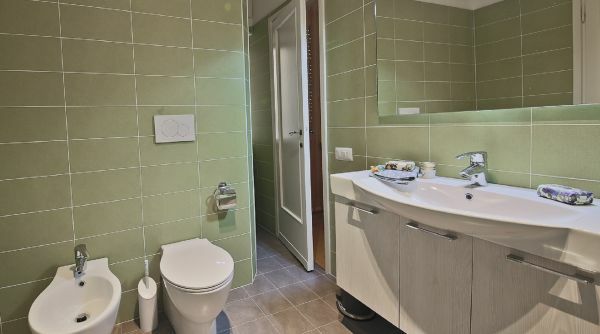 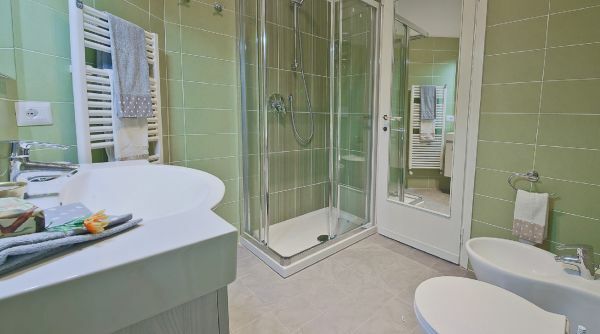 Guests will certainly appreciate the presence of two large bathrooms – one with laundry facilities: a very important feature for groups or large families traveling together. 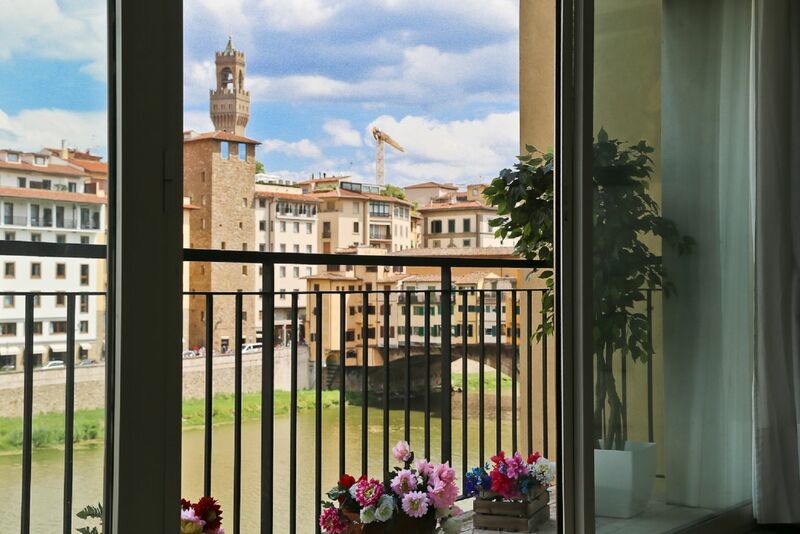 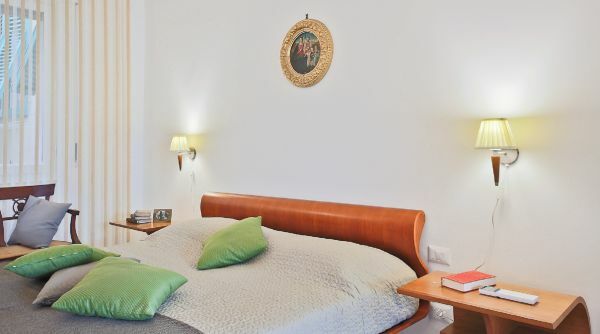 This apartment is ideal for a group or a large family who wishes to experience Florence first hand in a charming and first class apartment. 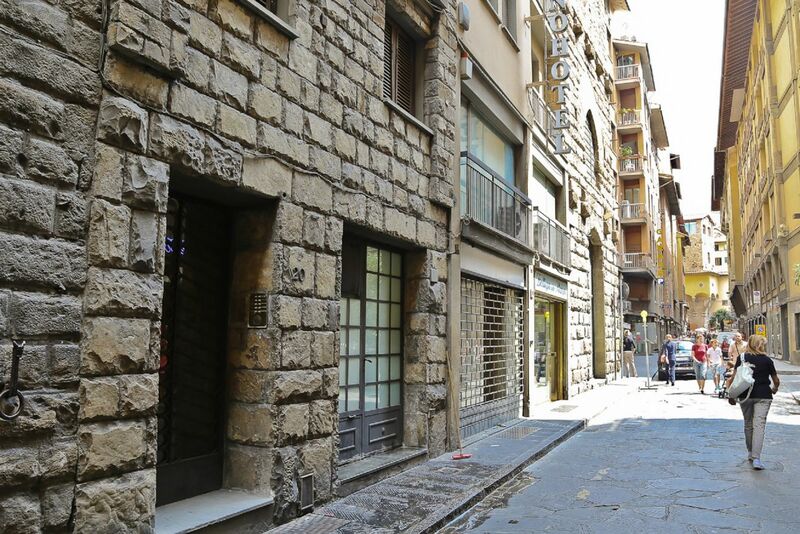 The lovely street Borgo San Jacopo is located just a few steps away from Ponte Vecchio in the Oltrano, an area full of boutiques, charming cafès and some of the city’s most well-loved restaurants. 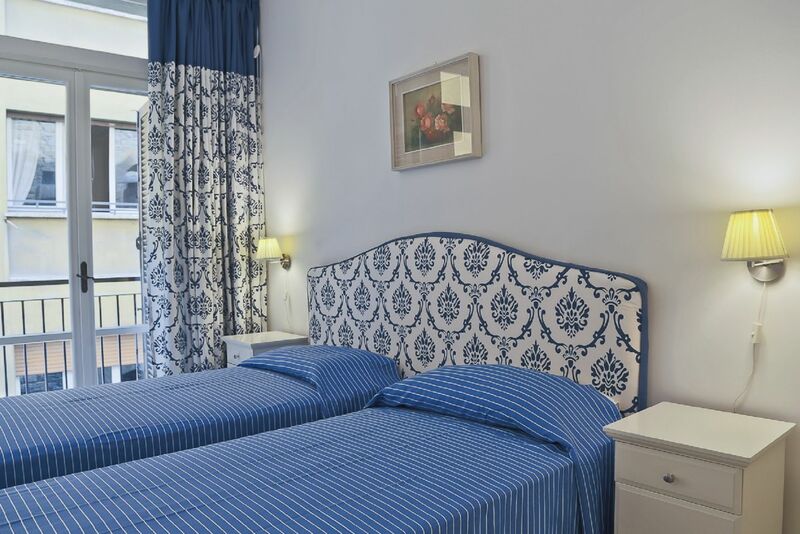 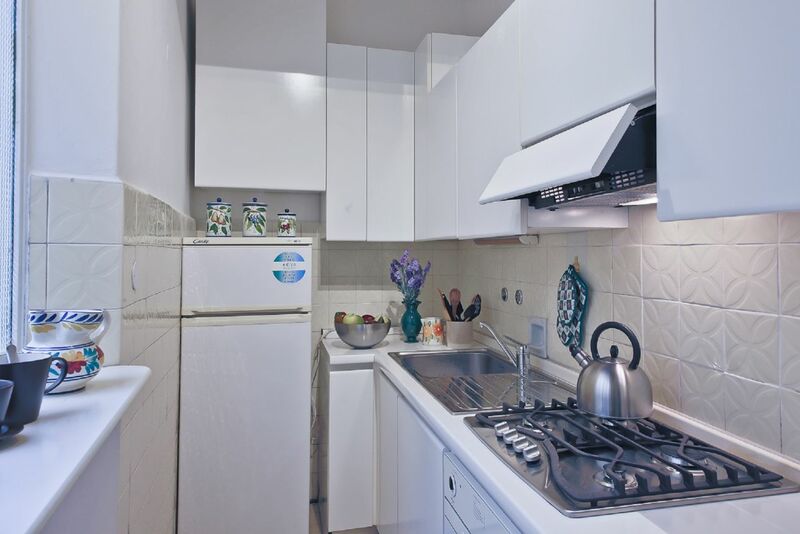 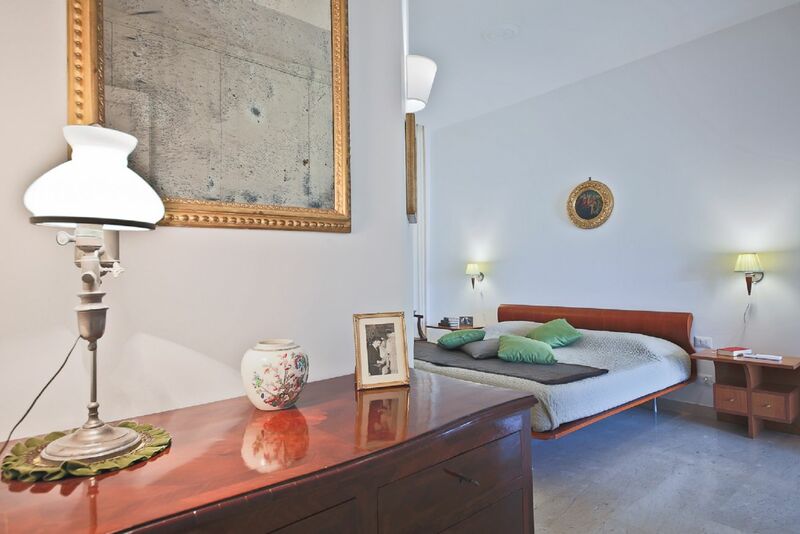 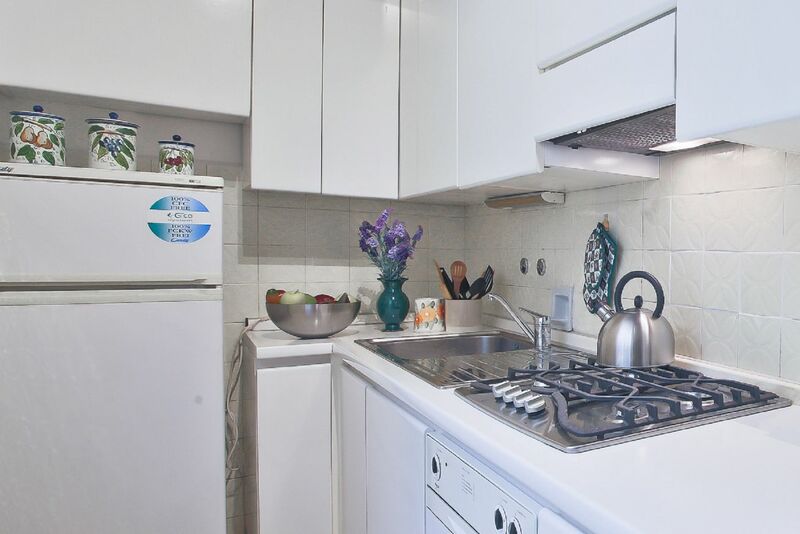 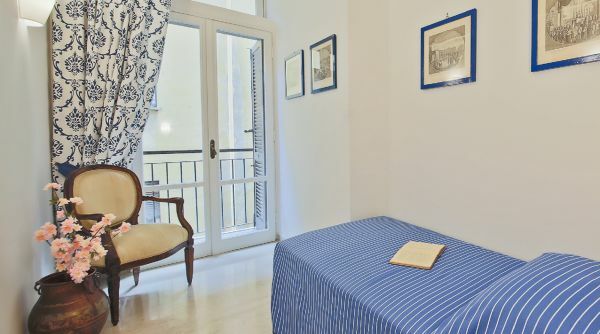 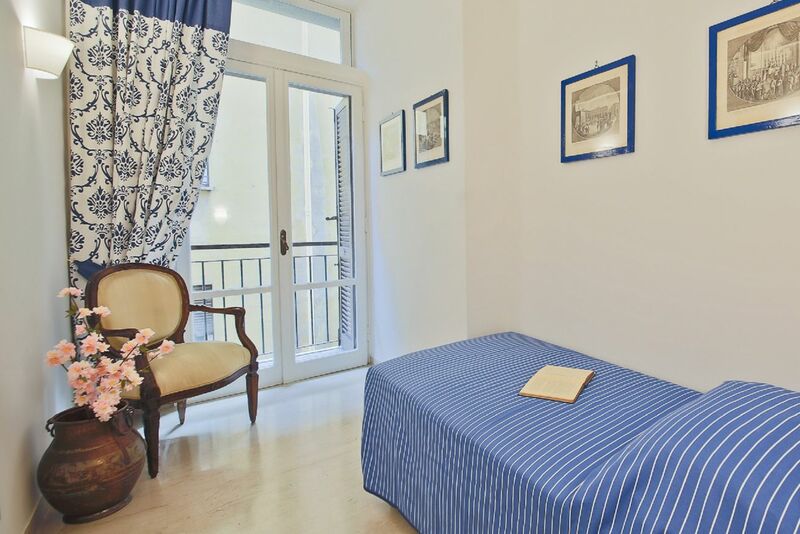 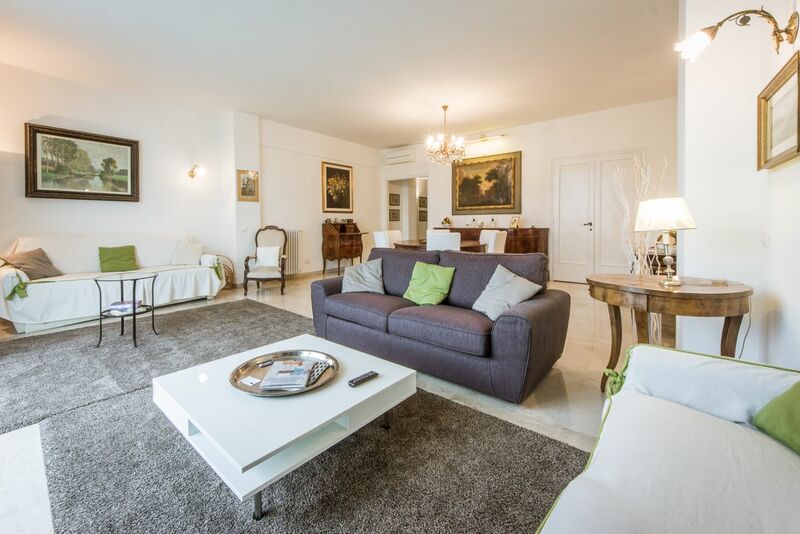 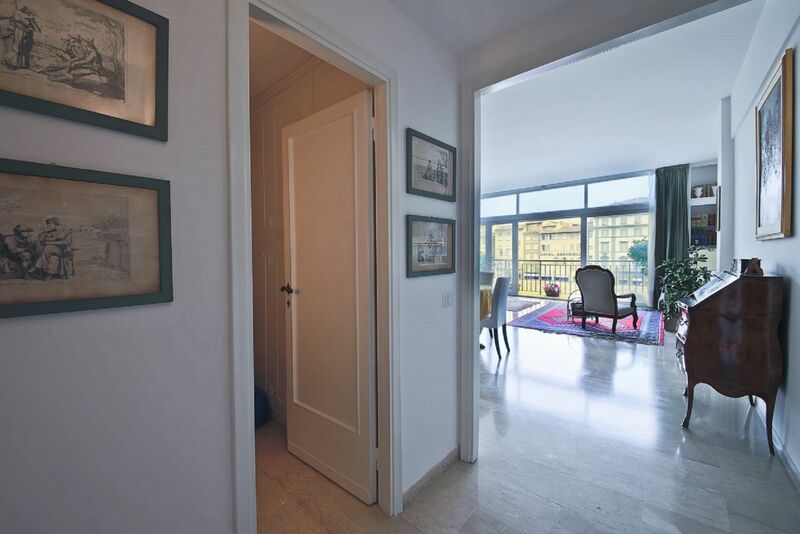 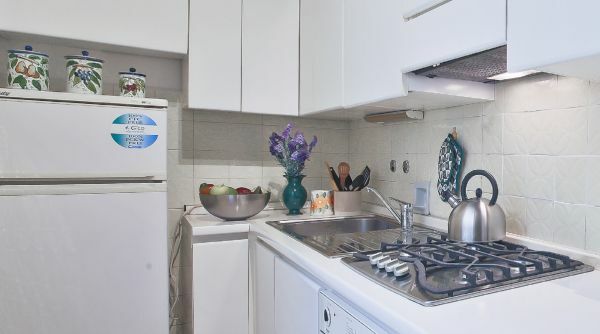 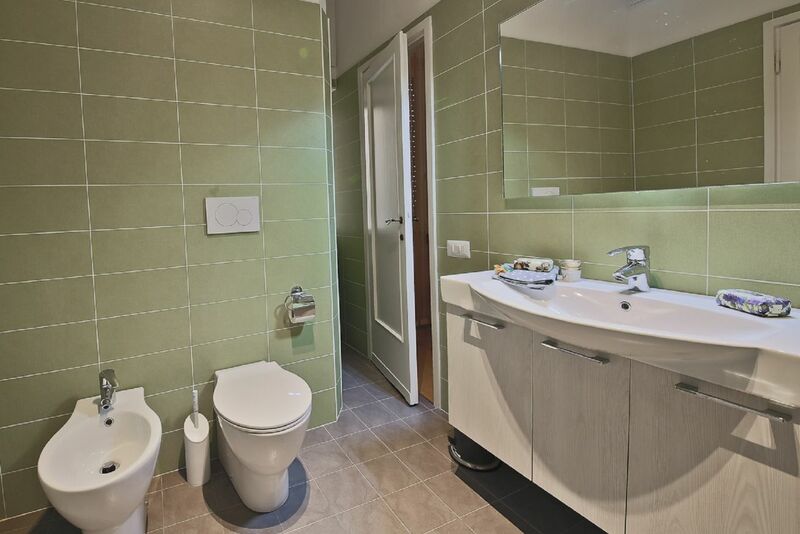 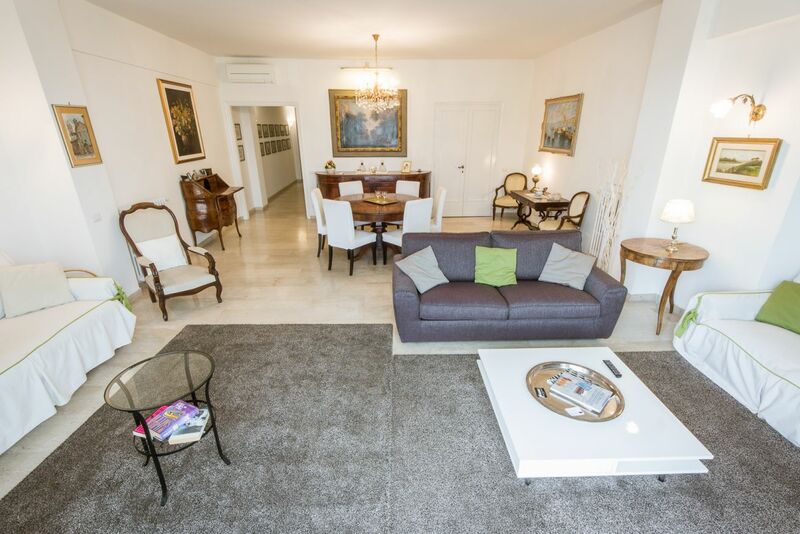 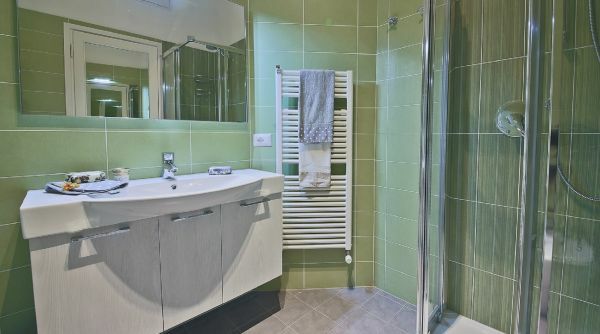 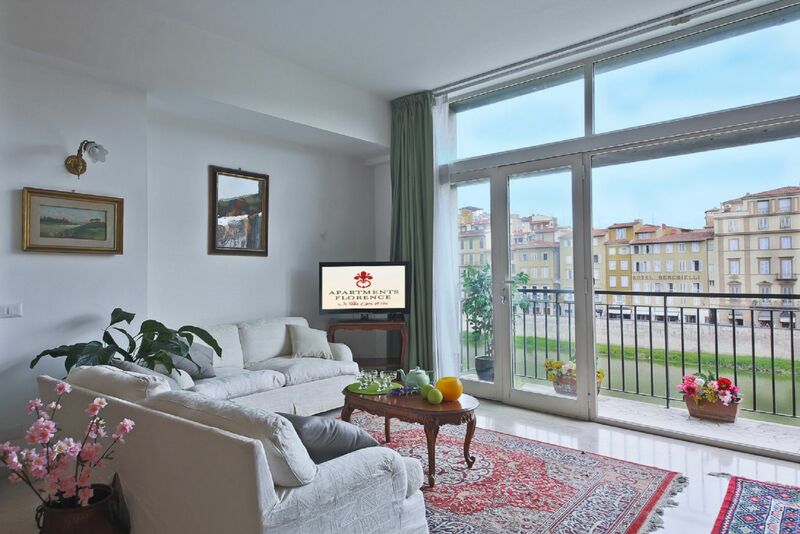 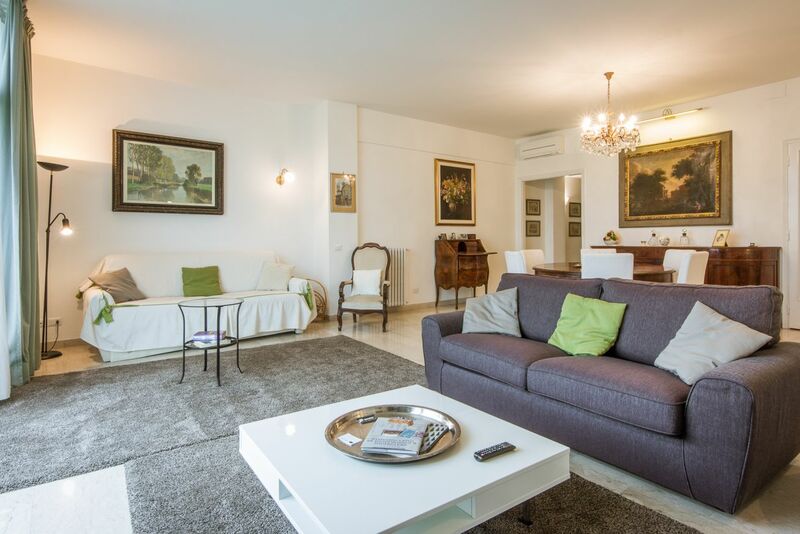 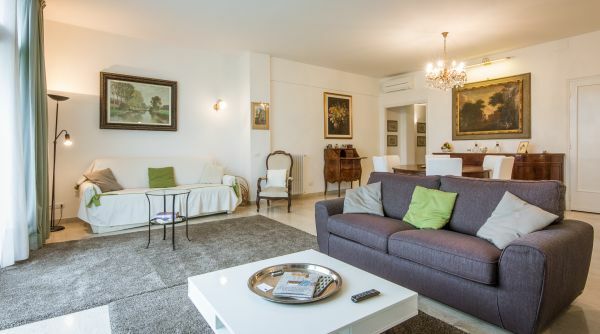 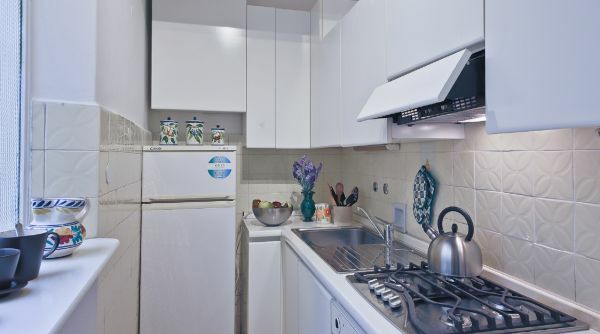 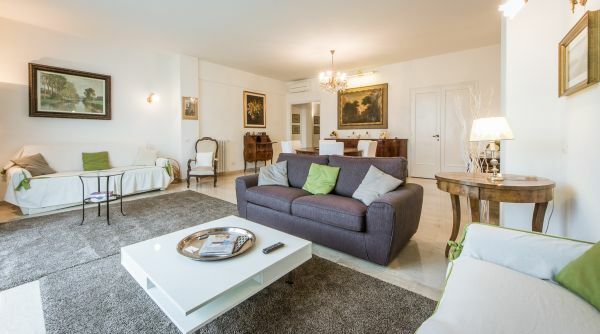 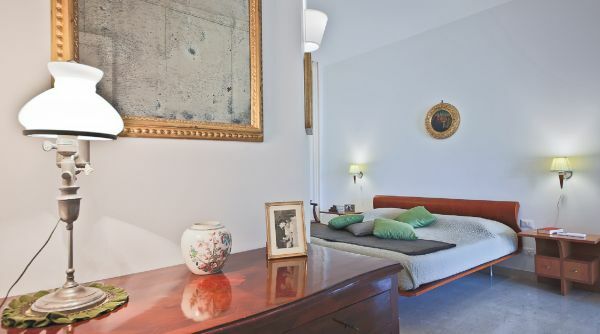 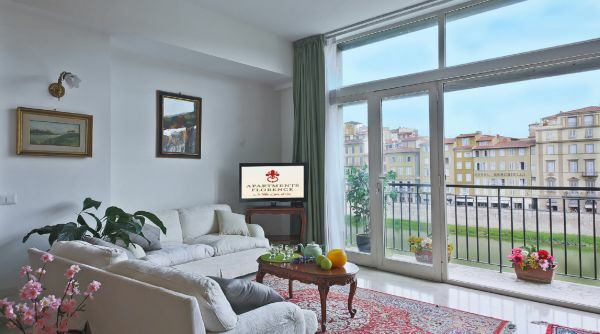 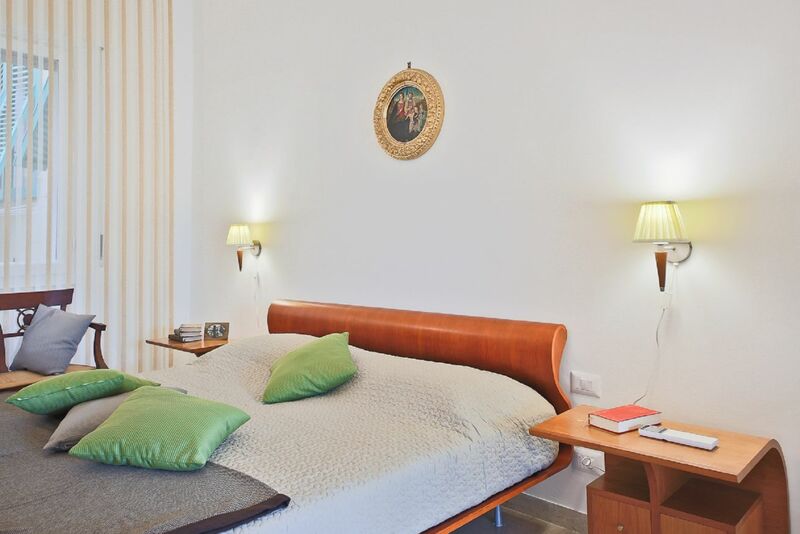 This apartment sure represents a prime location in one of the most authentic areas of the city, also being whitin walking distance from all of Florence's beautiful monuments and museums. 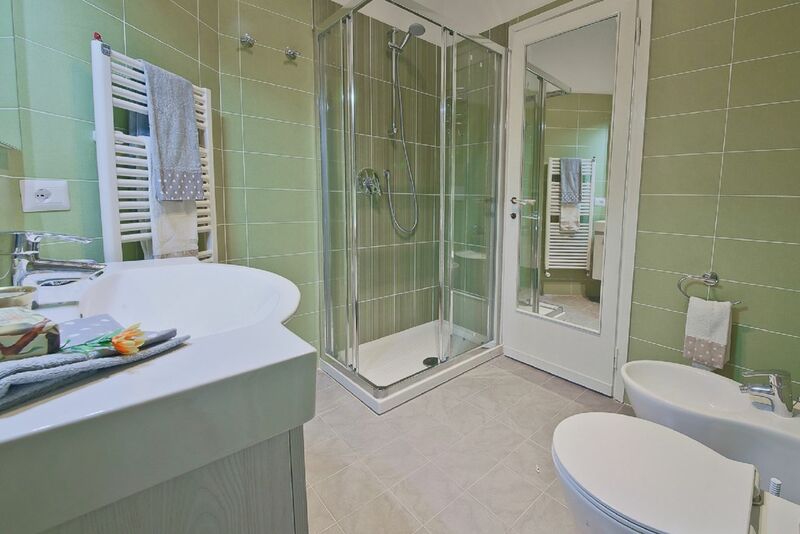 Global Energy Performance: 134.9 kWh / m² year.